Weekend (Fri-Sun) $620.00 per night. Long weekends and school holidays three night minimum stay. School holidays charged at weekend rates. We are just 13 kilometres from Blackheath where there are restaurants and shops and just 1.25 hours by car from Jenolan Caves and half an hour by car to Katoomba. 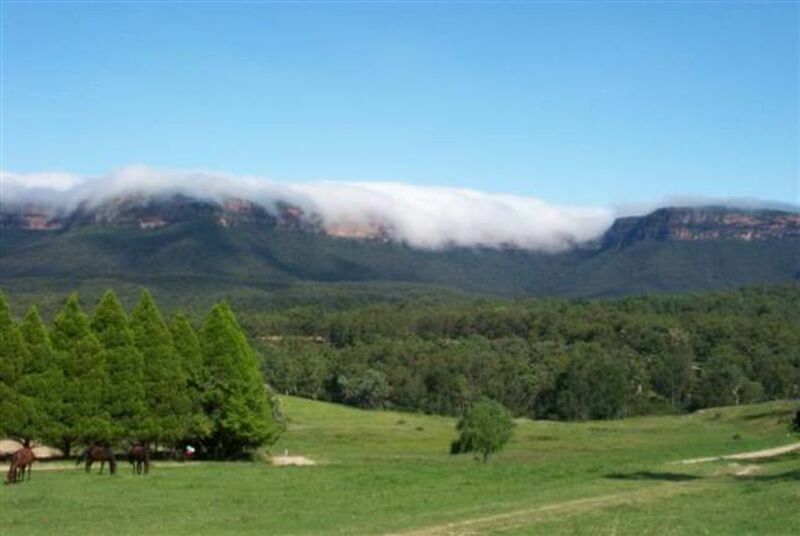 There are 2 golf courses in the area - Blackheath and Katoomba and plenty of lookouts and views. Trains from Sydney to Blackheath and there is a taxi rank outside the station. Charming old farmhouse with the old stove still in it. Very spacious, fan's & heaters. Don't forget the pool table and beautiful setting of the Megalong Valley. Everything you need, although the house really needs a restoration - so much potential. A shame to see a historic house not being kept up properly. Deck rotting and needs replacement. Aside from the house needing work, we were sad to leave and I will definitely want to return in the future. The house was big and the view from the house was superb! There was great walks starts from the house which we enjoyed very much. Unfortunately We had couple of issues due to been old house which made our stay not enjoyable. Our stay at the homestead was fantastic. The house fit 16 people comfortably, with enough lounge and kitchen space. House was lovely and clean. Owner and managers very accommodating.Highly recommended!